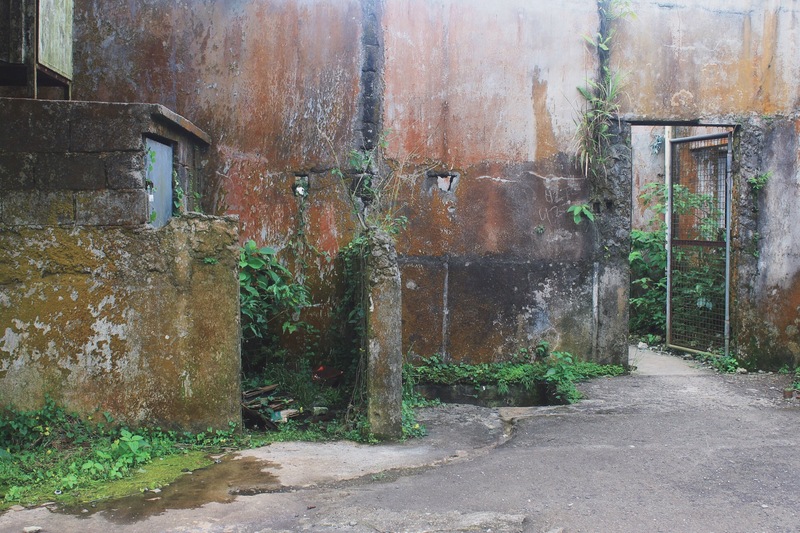 Somewhere along the highest point of Tagaytay lies an old, abandoned building from the 80’s during the late Marcos regime. Palace In The Sky was abandoned right from the start. 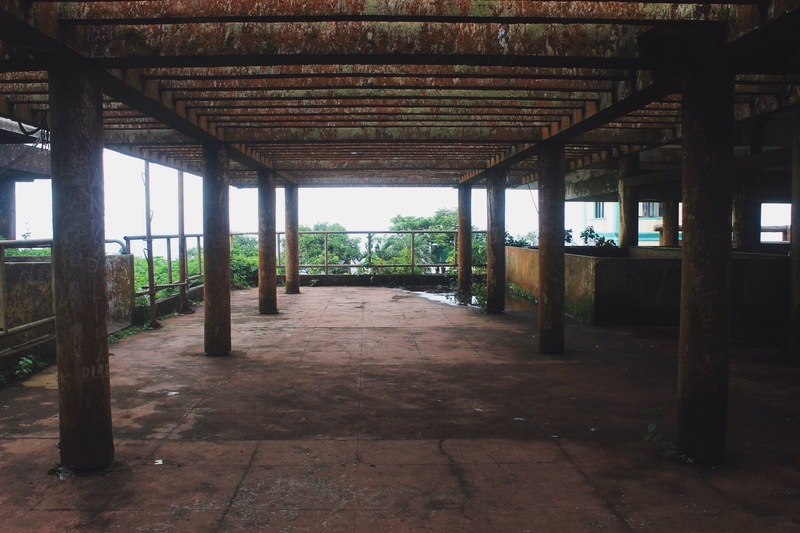 It was never fully completed, and although Ferdinand Marcos had a beautiful vision for it, it just didn’t happen. 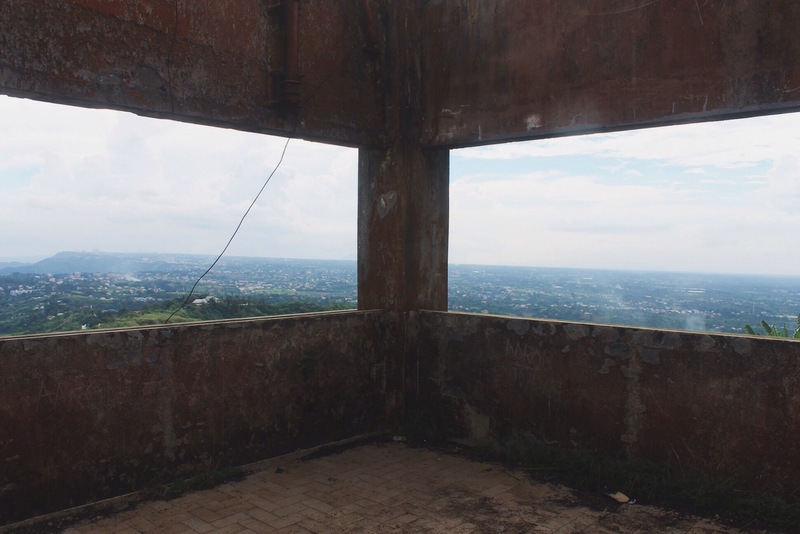 It remained unfinished, but today, the scaffolding stands still, allowing visitors to have an incredible panorama of Taal Lake and the rest of Cavite. From the entrance, you’ll either have to take a short walk uphill to reach the mansion itself. There are jeepney that would take you for a small fee, but the walk itself is lovely enough to go through. 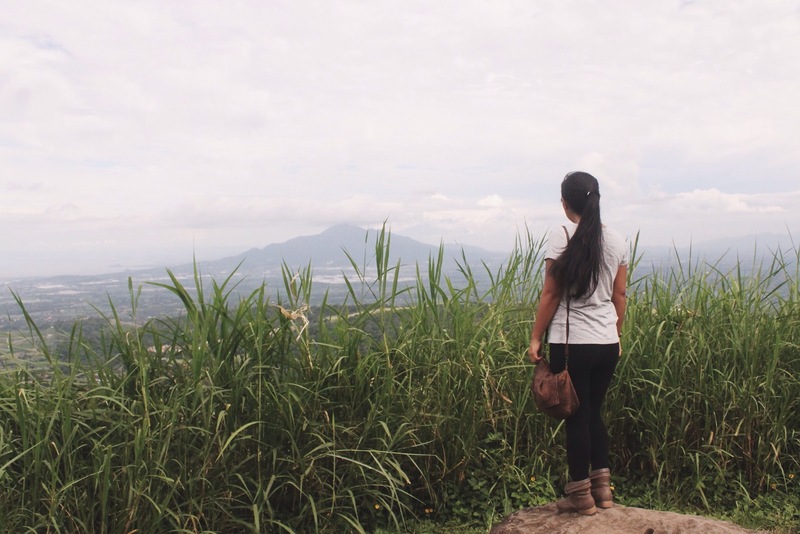 Unlike majority of the Philippines, Tagaytay is blessed with cooler weather so even if the sun is blazing hot, it’s still tolerable on most days. You won’t really miss out much from the walk because if you’re going up to the mansion, you will definitely not miss the beautiful view. 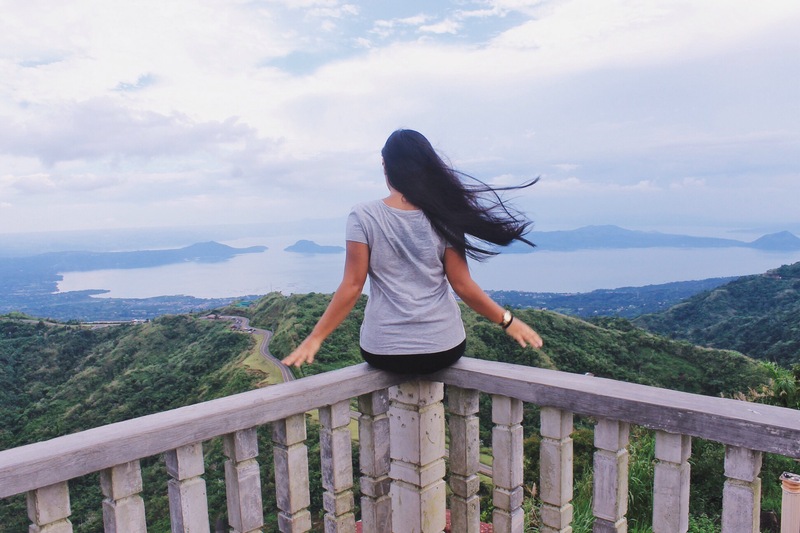 Hands down, this spot has the best view of Tagaytay, so I would definitely recommend it for the vantage point itself. Just trust me on this. I lived here for two years, and Erica just knows. There’s a shrine right outside, and since Palace In The Sky is open to public, there are a few stores that sells snacks, drinks, and souvenirs. A small restaurant can be found in the back, and when I went that day, there were a few men drinking and singing karaoke. Because, why not, right? Frankly speaking, there isn’t much here. Unless you’re kind of a freak like me who acts like a kid in Disneyland while going through the halls of creepy abandoned places, then there’s really nothing here for you to see besides the great vista. 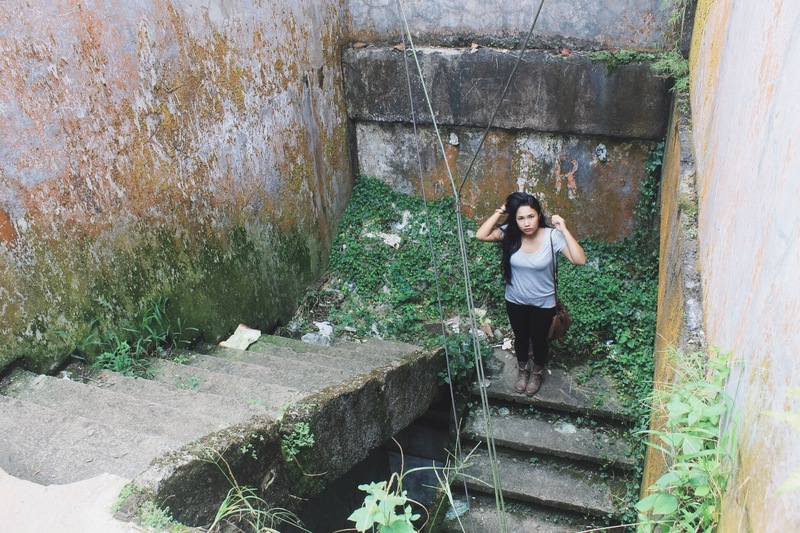 But I on the other hand, was completely fascinated by the dark corners and its mossy, vandalized walls. There’s not much to say either. I mean, they’re unfinished structures with very little history to tell. It’s not like Mt. 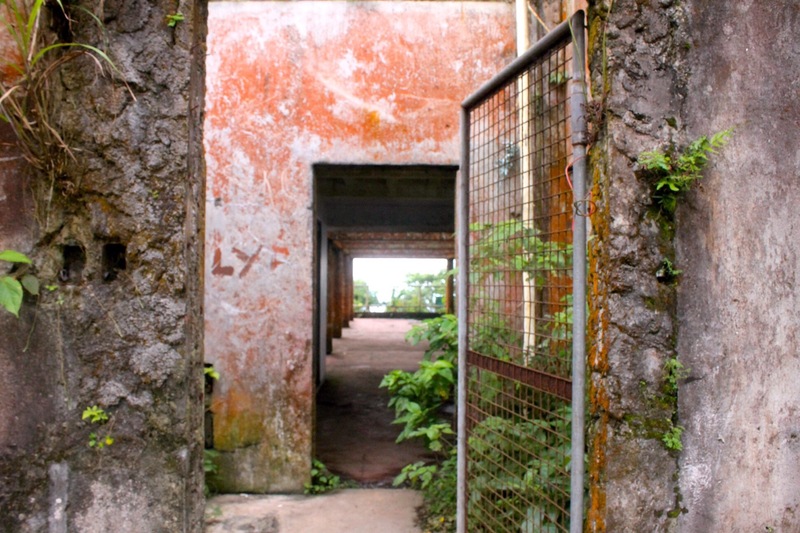 Bokor’s abandoned casino which once served as a getaway place for the French settlers in Kampot, Cambodia. There are no secrets here, but who knows. But if you’d like my own version of its history that I made up in mind to satiate my imagination, let me know, and maybe I’ll tell you all about it. I went on a Monday so there aren’t too many people, but I didn’t entirely had most of it to myself either. Perhaps weekend would be pretty packed, and the middle of the week would be friendlier for those seeking a quiet time while indulging in the view. 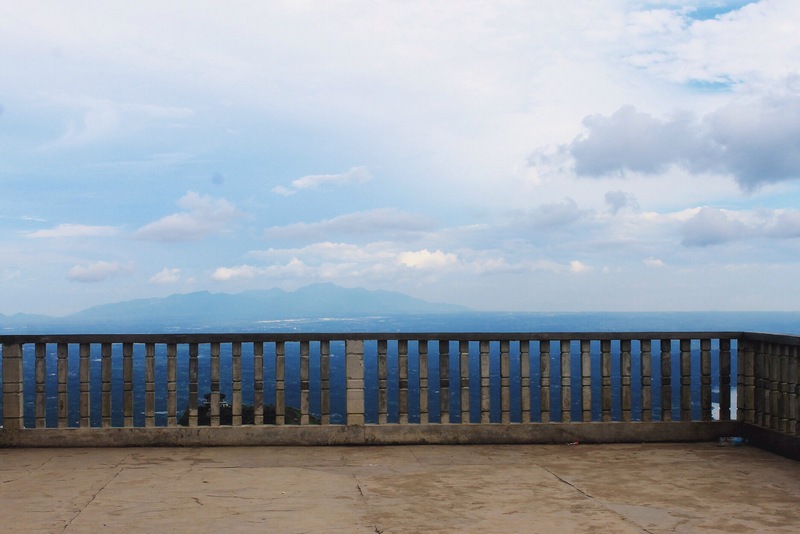 It’s not something people come to Tagaytay for, but it instantly became a favorite of mine because of the mind-blowing panorama. So I’d say, yes. Get out of your way and go for it. What an amazing view from that balcony! 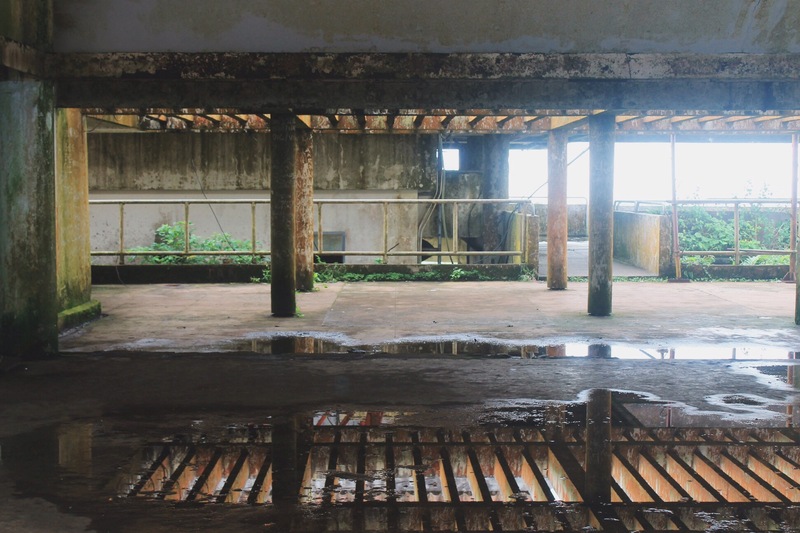 Ah, the joys of imagination in worn down and deserted structures!You share my interest then. I’m not as enamored with abandoned buildings but I do feel the same way about cemeteries for some reason. You’ve managed to make to make it look and sound pretty interesting! 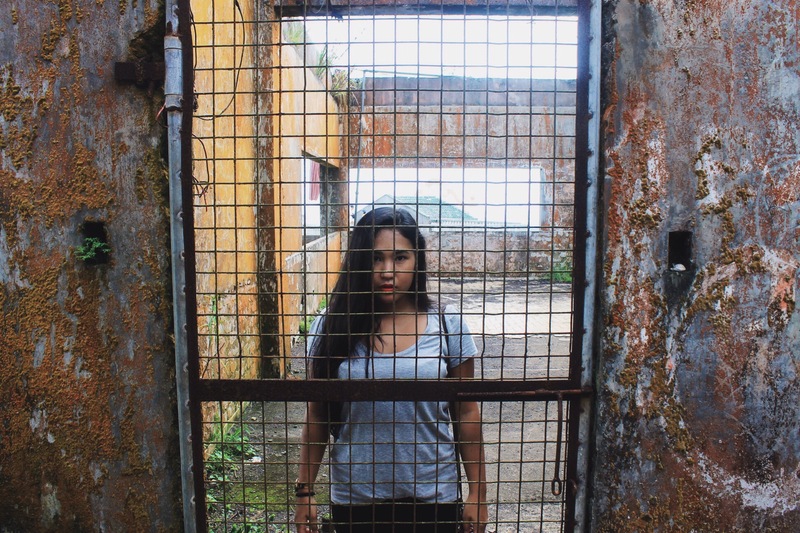 I love abandoned places, but I’m so afraid of tetanus that I don’t go in, haha. We also don’t have many here in Massachusetts, but there are a ton of places in the Midwest of the US that you would just adore. I love ruins too. The UK has loads of them. If you ever visit, give me buzz. Anyway, I’ve been to the Palace in the Sky. I remember the steep walk. That was about 10 years ago so I don’t remember the view. 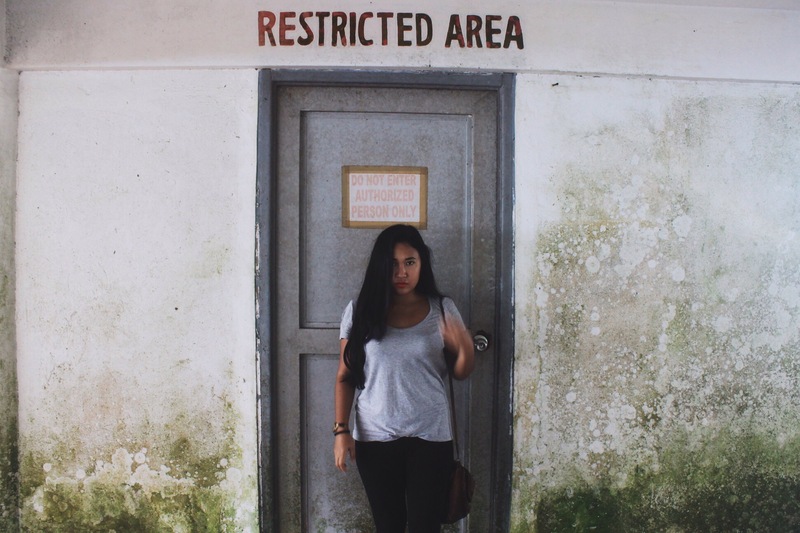 Love the way you verbalize the unspoken thoughts of the ruins. I’m a freak like you! 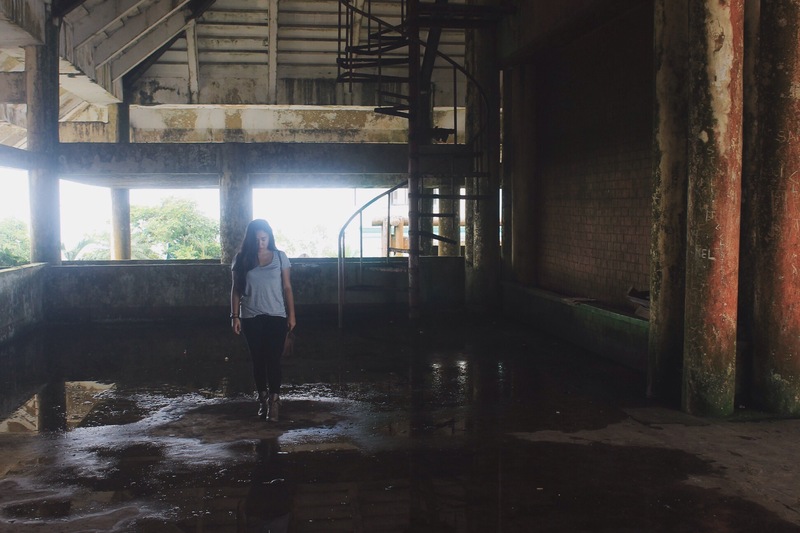 I love exploring abandoned places just for the reasons you say. I love to let my mind run wild and dream about what was happening in those places at one time. Keep on rocking! Its been a while since I last visited this place. Feels quite different now.